11:22pm–#Bridgeport CT–A report of an odor of gas indoors at Success Village Building 56 Court C with symptoms of dizziness. UPDATE–Firefighters meter the building and find nothing. One assaulted after gas station robbery. 1:10pm–#Stratford CT –A person is reported assaulted after a robbery at the BP Gas Station at 265 Boston Avenue. Two masked man fled in unknown direction. Call initially said there was one shot in the gas station. 10:58pm–#Bridgeport CT–Police nab one who tried to engage police in a pursuit on Fairield Ave. The driver did elude police but good canvassing by police located the driver and car near Maplewood Avenue. 10:45pm–#Bridgeport CT–Don’t go to sleep yet Bridgeport! Odor of gas indoors at 74 Willow Street (near Barnum Ave.). Here come a bunch of fire trucks! 9:19pmcttraffic–Report of an car accident Route 8 northbound near exit 11 with injuries. 8:51pm—#Bridgeport CT–Firefighters are on scene at an apartment 1035 Fairfield Avenue with carbon monoxide readings. 8:50pm–#Fairfield CT #Easton CT–Police from both towns are at Heritage and Congress with an allegedly out of control man who was throwing his t-shirt at passing cars……. 5:21pm–#Bridgeport CT–Report of smoke coming from 189 Arctic Street on the 2nd floor, firefighters on the way. 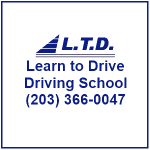 5:09pm–#Bridgeport CT–Report of a car accident Park and Benham Avenue, no word on injuries. 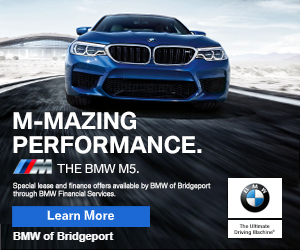 3:09pm–#Bridgeport CT–A three car accident with injuries at Chopsey Hill and Island Brook Ave.